Another great Halloween decoration idea: Fireplace Pumpkin Arrangement. 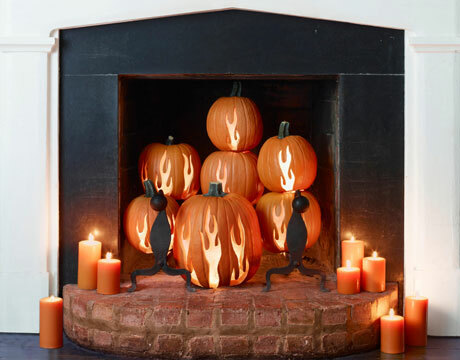 Arrange pumpkins in the fireplace, then carve the flames using a template. Get some candles in there and you’re good to go.